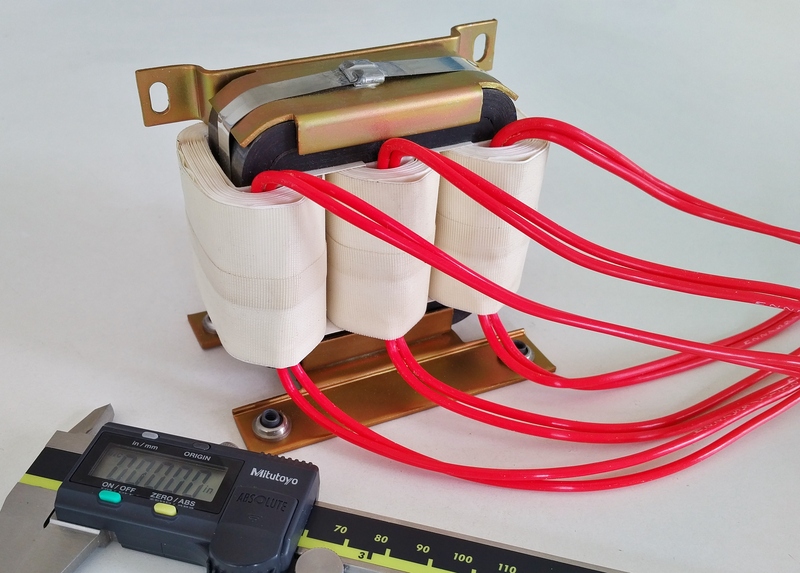 This custom three-phase DC power inductor is used in the Auxiliary Power Unit in a commercial aviation platform. 50uH, 125A/ph, 15kHz Tape-Wound E-Core, 0.010 Copper Foil Windings, High-Temperature Teflon Leads, Class H (220C) insulation. Insulation resistance, 40Mohm (min) @ 500Vdc. Manufactured in Canada.